Myself and my friend has spawned on numerous occasions in The ShadowHunters base (wicked Dino collection there btw). There's no means of escape and it's very time consuming to kill ourselves when we do. Is it possible to remove this location from the easy 2 spawn? 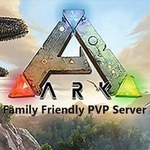 Unfortunately the Ark admins still have not given server admins the ability to move spawn points and there is no way for players to know where these spawn points are because they are random. The only thing I can suggest is not to use that spawn point or make sleeping bags or beds in order to better control where you spawn in.